According to various Internet sources, starting from the fiscal year 2020, the United States Marine Corps (USMC) intends to reorganize its sub-units. 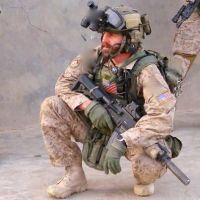 With the introduction of a new weapon in the USMC, the M27 IAR rifle and which is replacing the M4A1 and M249 SAW, the corps decided to reorganize its sub-units. The Squad has been reduced from 13 to 12 men. The Squad is to be divided into 4 sections of 3 men, the Command Element, and 3 Fire teams: A, B and C.
The Command Element is to consist of a Squad Leader, an Assistant Squad Leader and new function of a Squads Systems Operator responsible, among other things, for implementation of new technologies, i.e. operating a drone, a radio and a tablet. 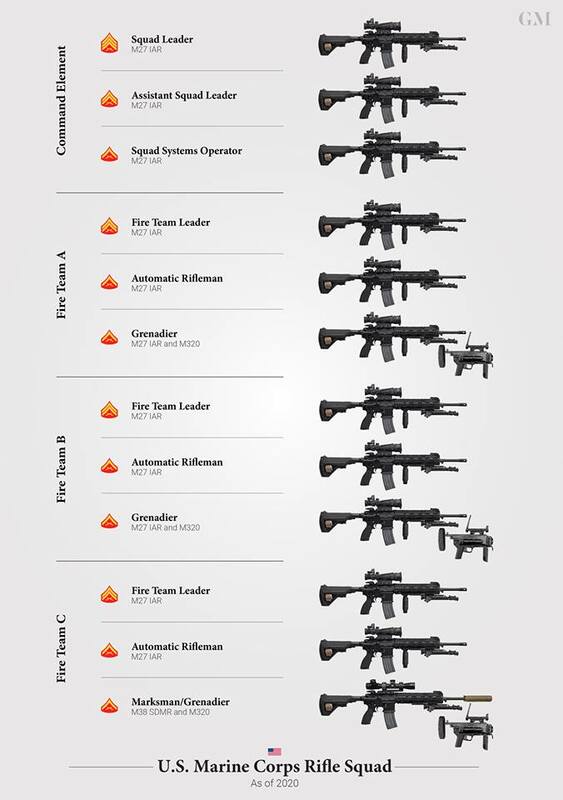 Fire sections have been reduced from 4 to 3 Marines replacing the Rifleman and Assistant Automatic Rifleman functions with one Grenadier function and/or a Marksman function. Assigning the M38 rifle (an M27 variant) to the Marksman is to be the responsibility of the Squad Leader. Grenadiers are to be equipped with M320 grenade launchers.